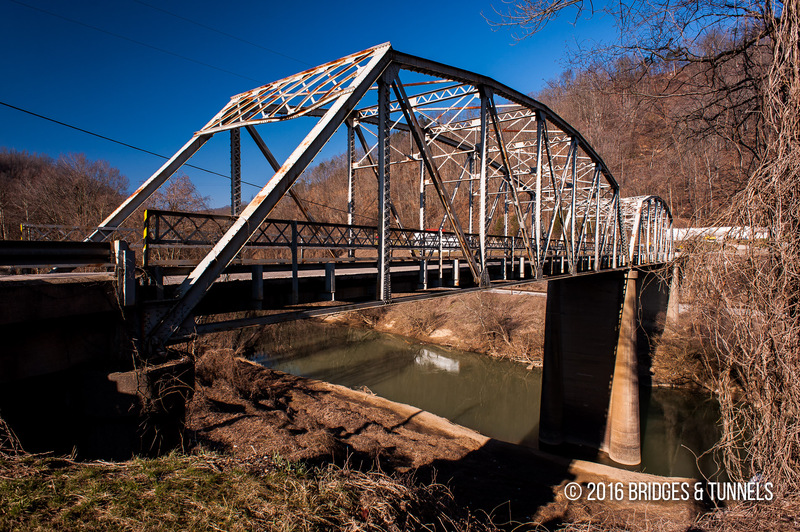 The Glomawr Bridge carried KY 451 over the North Fork Kentucky River in Glomawr, Kentucky. 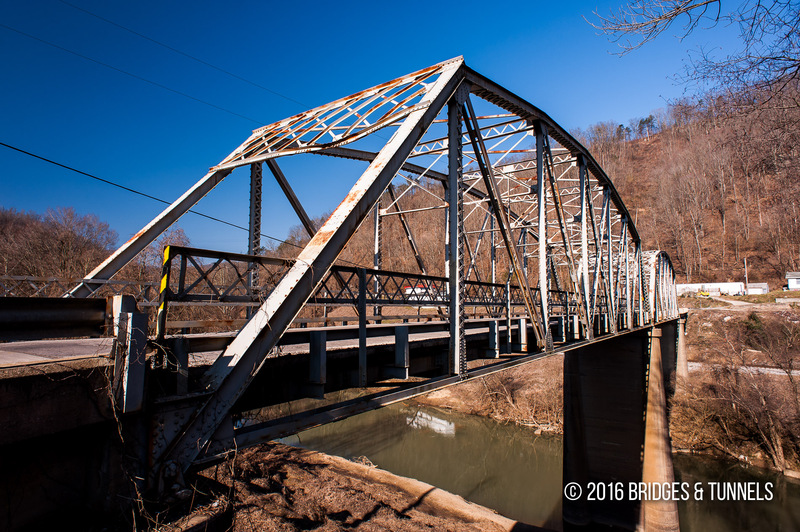 The Parker through truss was constructed in 1927 for KY 15 until a new alignment was constructed in 1969. 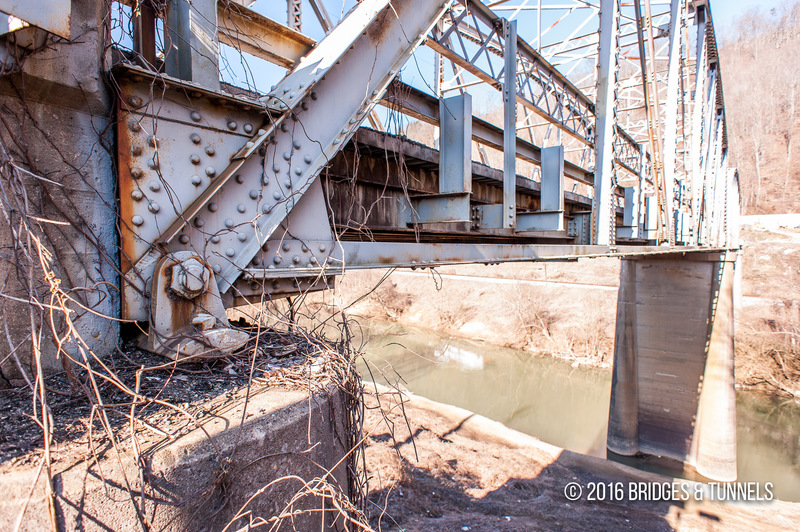 Construction of a replacement bridge began in 2014. 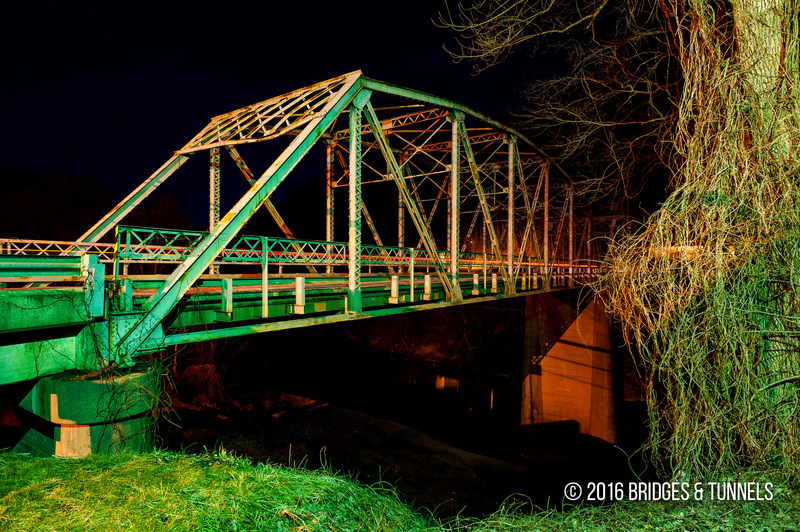 On October 19, 2015, the old Glomawr Bridge was closed to all traffic.1 During the closure period of approximately two weeks, contractors installed new traffic signals at KY 15 and finalized work on the new crossing, which opened in November. Elkins, H.B. 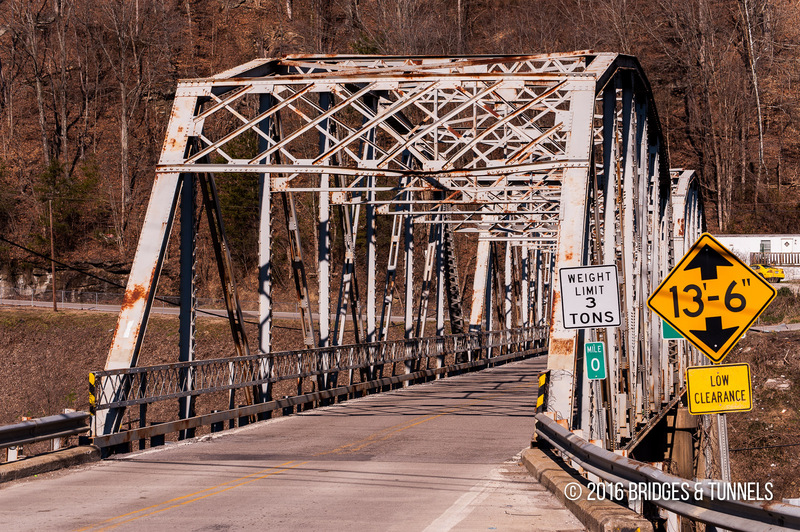 “KY 451 bridge at Glomawr in Perry County to be closed beginning Oct. 19.” Kentucky Transportation Cabinet. Web.